This modification document provides instructions and photos on how to fit the thermo fans from the EF / EL series falcons, into earlier model Falcons using the Craig Davies kit. THere are a few documents aroundon how to do this, but none have photos to go with them. Hopefully this will make it easier for people. Time required to complete this mod is about 2 hours. If you buy the Davies Craig Kit it has almost everything you need, all you will need extra is 4 rolls of power wire one for the main power and one to your ACC from inside your car. 2 x Scotch Locks (**PLEASE TOSS THEM IN THE BIN DO NOT USE THEM**) instead of using the scotch locks it is best to solder. It doesn’t matter if your car is an I6 or a V8, you do the same for both. To begin, find a place to mount the bracket and thermo switch, for this Doc, I have photos of where I put mine, near the air box on the Passenger side behind the light. Remove the Air box you need a 10 mm socket, remove the 4 bolts, 2 on the top and 2 down near the lights, here is photo box removed. Here you can see the two holes I drilled for the bracket. Now to place the relays for the thermo fans, I place mine in the PAS side beside the air box, they fit neatly and are not in the way. 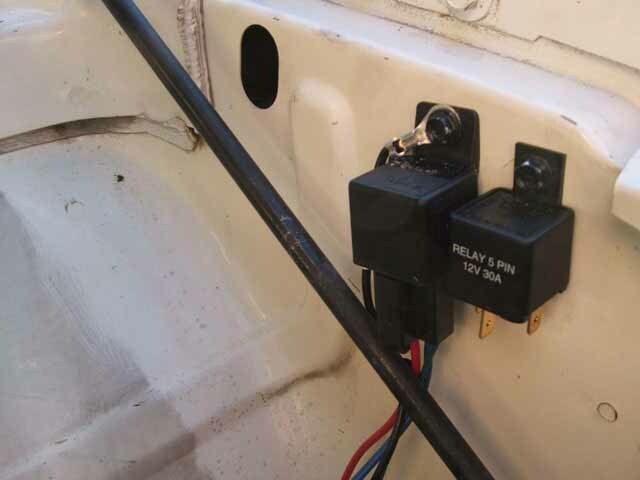 Plug the wiring harness into the relay all bolt the connector on the black wire to the side like I have in the photo. 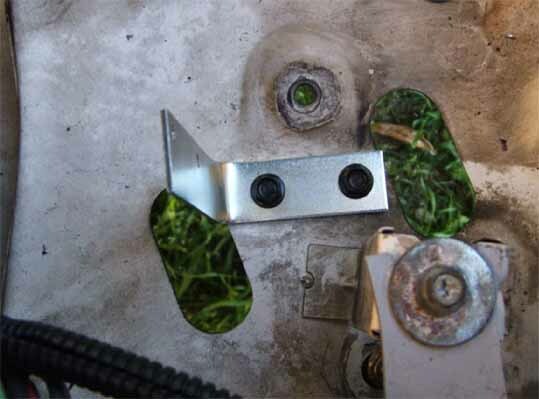 Now you have that done that, you will need to remove the bracket, using the 2 smaller screws in the kit and screw the thermo Switch to the L bracket. You will see on the side of the thermal switch that there are 2 holes and a sticker telling you what they are for. 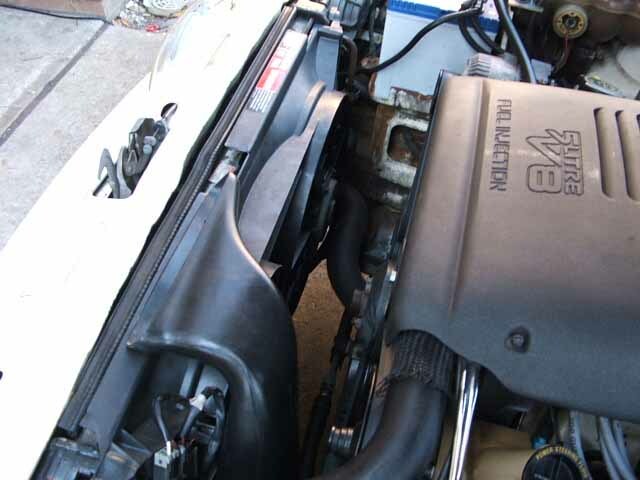 Then bolt the air box back into place. Photo of the Davies Crag thermal switch bolted in place. Once you have done that, bolt the thermal switch bracket back to were you had it, now you will have to remove the top hose off your radiator and feed the copper pipe that has the big end sensor into the hose put it in about 3 inches so the sensor clears the pipe and the little hump and then use the little rubber wedge that has the groove down the middle, place the thin part of the copper pipe in the groove and hold it in place, now put the hose back on, but make sure you keep the hose clamp away from the end of the hose, this will make it easier to put the pipe on. If you wish you can use a little silicon on the radiator inlet before you push the pipe on that’s up to you, hold the copper wire firm as you slide the hose back over the pipe and the copper pipe, don’t let the copper pipe slide back. 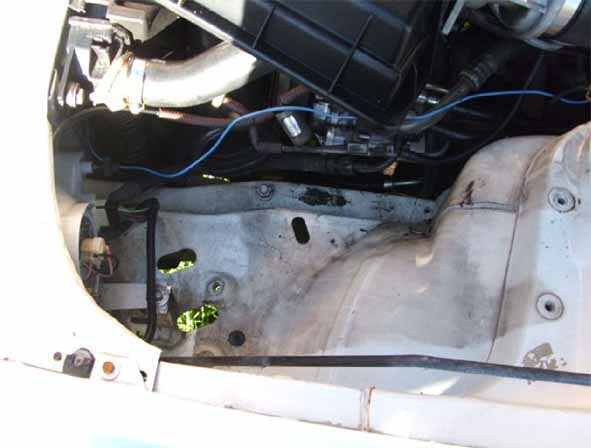 Once you have slid the hose back on, slide the hose clamp back on the end and tighten it back up, then replace your coolant. 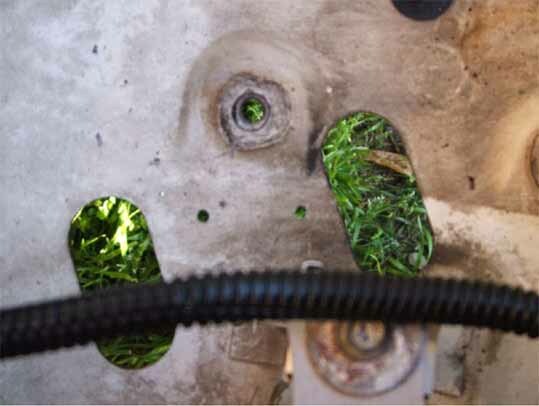 Here is a shot of the temp sensor installed in the hose. Here is the wiring diagram I used to do the install. Doing it this way will bring on both fans when the temp is triggered and when you are using air con the 2nd fan will cut in. The wire instructions that come with the Davies Craig kit can be a little confusing, there are 4 wires Green, Blue, Black, and Red. The Red wire goes to your battery, I used 3 meters of wire and connected it to the red wire that comes off the Davies Craig wiring harness, and ran it out under the front of the radiator support panel and zip tied it to the harness there, then made it come back into the engine bay near the battery, then put on a big round eyelet connector and connected it to the positive + side of the battery. I removed one of the bolts on the battery connector and put it there. Place a spade connector on the green wire and plug it to the Davies Craig thermal switch, use the single male spade, as there are 1 single and a double on the thermal switch. Then run the grey wire if its long enough and I don’t think it will be so I use 3 meters of 25 amp power wire, put a spade connector on one end and plug it into one of the double male spades, then run the wire to the back of the engine bay, best run it with the hoses that are in the brackets and then to the drivers side (my car being a AUTO) I ran the wire into were the clutch cable goes. Use your multi meter or test light and find a wire that is live when the ignition is on. 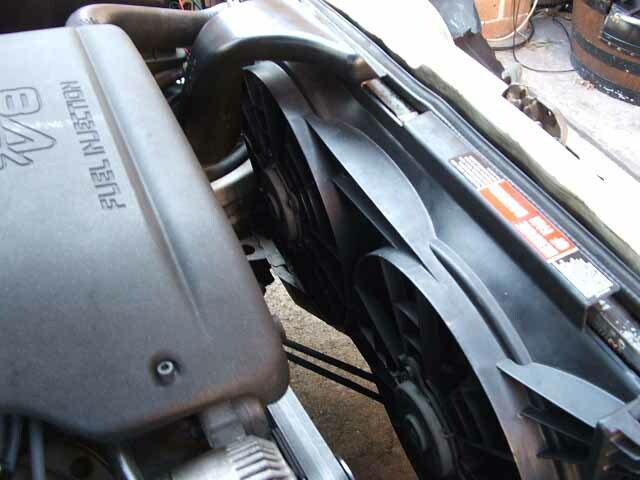 Now remove the clutch fan using a 32(6 cyl) 36 or a 38mm (8 cyl) spanner or a bloody big shifter if you have one, also you may have to use a long strong screw driver to wedge between 2 of the bolts that hold the pulley on to stop that spinning wile you try to undo the clutch fan, you can use a hammer a few fast blows on the spanner to undo the bolt u should undo it towards the battery as if you do it towards the air box your doing it up. Once you loosen the clutch fan you just need to turn the fan till it’s loose then undo the 2 screws holding the snorkel remove that then undo the two screws holding the fan shroud and remove them both together. OK now its out get your EL/EF twin Thermo fans and slide them down into place you will see were the bottom of the fans slide into 2 small grove near the bottom of the radiator. Now get the 2 bolts I hope you got off the car that the fans came off as well and the 2 nuts. 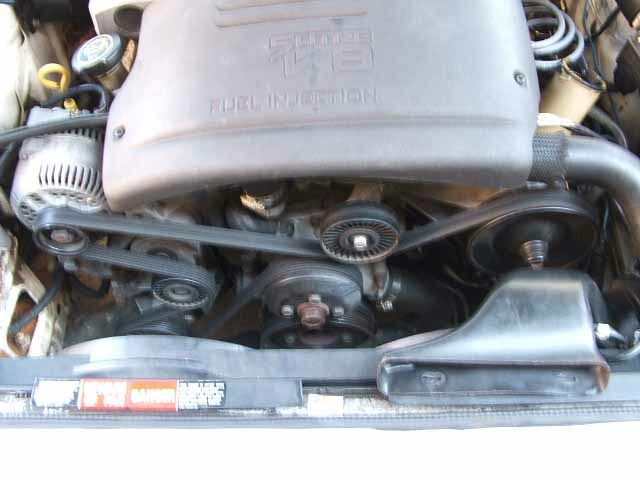 If you look you can see were the nuts sit in a slot, put the nuts in one side at a time then bolt it up tight but not over tight, also make sure that the bottom radiator hose clamp isn’t fouling up with the thermo fans and not allowing them to slide into place on the drivers side. Once you have bolted the thermo fans on both sides, it now time to connect the blue and the black wires to the plug on the fans, the one you want is the big plug that has 3 wires, one grey and 2 orange. Take the plug off and strip the two orange wires and twist them together now strip the blue wire that’s coming from the Davies Craig wire harness cut a small amount of heat shrink and slide it on the blue wire, then twist the blue and orange wires together and then solder them leave to cool for a min or so then slide the heat shrink over the solder point then use your soldering iron and run it the length of the heat shrink till it all shrinks onto the wires. Now strip both the black and grey wires, then get another length of heat shrink, and slide it onto the black wire, now twist the black wire and the grey together then solder them allow to cool then slide the heat shrink over the soldered joint, use your soldering iron and shrink until its shrunk onto the wires. Now you will need a small blade fuse, not the same ones we use in the EB you have to get one of them small suckers like the VY Holden use, get hold of a 25 or 30 amp fuse. 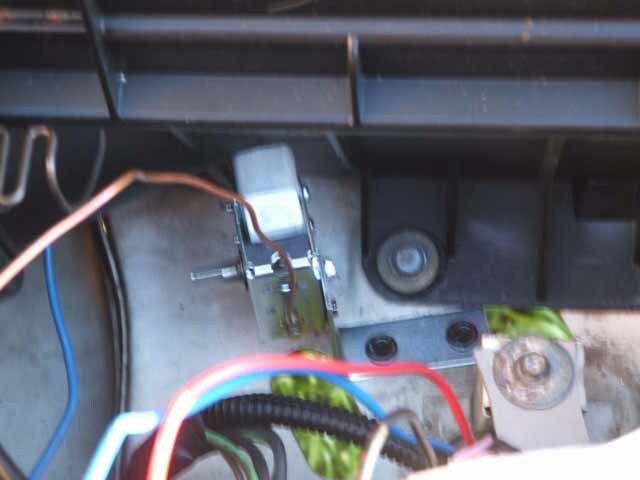 Place it into the fuse holder, once you have done that turn the Davies Craig thermo switch off using the shaft till you hear a click, then go and turn your car on the fans should come on straight away if they don’t make sure you turn the thermo switch anti clock wise as far as it will go then it should come on. If it works great all you need to now is turn the switch till it cuts in when your temp gauge is about half way then the thermo fans should cut in, and with the car just sitting there it should cut in when it heats up and when it gets below the temp you set on the thermal switch it should turn off till it heats up again. To connect to up for when you use the Air-conditioner, look at the diagram and follow what it tells you, the easiest way on the v8 is to unbolt the big alloy shield and remove it from the engine if you look at the air compressor you will see a black wire or a single wire, it come from the compressor to the your car engine wiring harness and will have a plug to connect it. All you have to do is add a trigger wire to it and you add the wire to the harness side of the connector not the compressor side, strip the wire don’t cut it, now strip a the end of the wire that will go from there to the relay solder it and take it up, you can add an extra connector on it so if you need to unplug it for some reason you can. You can also add an override switch to the fan so if it don’t cut in using the Davies Craig thermal switch, you can just turn them on manually. 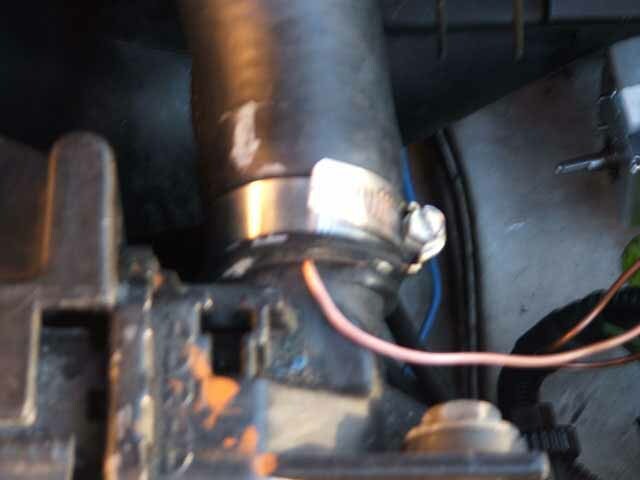 Use 2 wires long enough to go from a spot on the dash or anywhere you like inside the car run it out into the engine bay, run it along the firewall and down to the first relay, that should be the one that runs the first fan on the pas side, now on the relay put one of the wires on the wire that goes to pin 86 and one to pin 30 on the relay you can strip both wires and solder the new wires to them and tape them up. Now when you are unsure or worried that the new system is not cutting in you can turn them on and off yourself. Here is a few photos of the job all done. Document written by: BuNtEr on 29 2008>, Copyright © 2008 BuNtEr, all rights reserved.